Texas defensive end Breckyn Hager didn’t hold anything back when asked about why it’s so tough getting a win in West Virginia. When being interviewed by Cedric Golden of Austin American-Statesman, Hager was asked why West Virginia is such a tough road environment. I asked Breckyn Hager what made West Virginia such a tough venue for visiting teams. "Because it's a bunch hillbillies drinking moonshine." “It’s a bunch of hillbillies drinking moonshine,” Hager said with a smile after practice on Tuesday. “I remember it all. I remember looking up seeing someone with no teeth singing (Country Road). I remember I was all mad, about to cry, trying to block all of that stuff out and get to the locker room. While there may or may not be a few hillbillies drinking moonshine in Morgantown at Milan Puskar Stadium on game day, you have to give Hager credit, he did get something right. It is tough for the visiting team to get a win in Morgantown. Mountaineer fans show up for their team and bring the noise. The home record stands at 4-1 on the season. 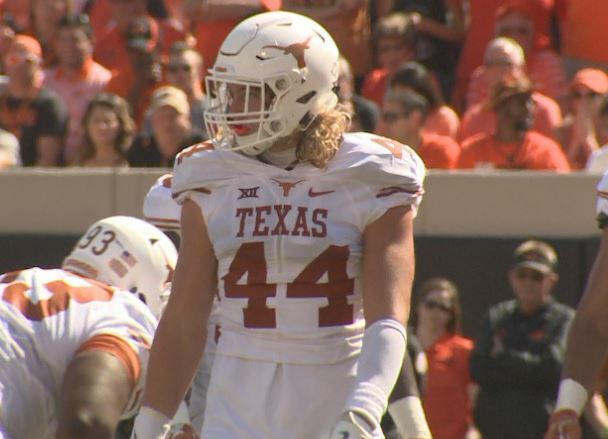 A big part of getting to a 5-1 home record depends on how many points the Mountaineers can put up on Breckyn Hager and the rest of the Longhorn defense. It’s a tall task with the Longhorns having a very formidable defense, especially in the secondary. While this was surely just some playful ribbing from Hager, this will certainly have the Mountaineer fans fired up on Saturday.